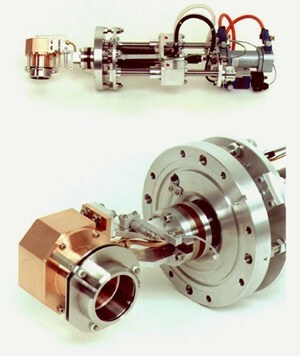 Measurement of mean beam current of particle accelerator. Principle: Accelerated particles (high energy primarily) are stopped in the cup and an electric charge is detected as corresponding electric current. The Faraday Cup may be moved into the beam by means of an air pressure actuated vacuum feedthrough.